... to walk or teach the true way. was given to the Sydney School of Japanese Swordsmanship by the late Nakamura Taizaburo Shodai Soke & Hanshi 10th dan Batto-do in 2001. 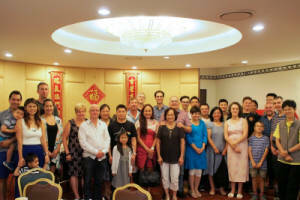 One year later Hans Fricke received Kyoshi 8th dan in Nakamura Ryu Battodo and with it permission to teach and represent Nakamura Ryu Battodo in "direct line" in Australia and is believed to be the only non-Japanese to have received such high honors outside Japan. 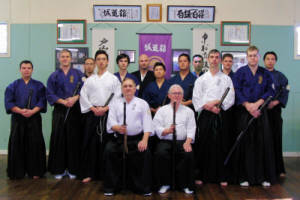 The Sei Do Kan Dojo, a founding member of the Australian Battodo Association Inc., teaches the art of Battodo, namely Nakamura Ryu Battodo, Toyama Ryu Battodo, Tameshigiri and So-jutsu. All aspects of sword work are taught; from basic stances and sword-safety to advanced single and partner sword forms as well as tameshigiri the art of target-cutting and so-jutsu the art of the spear. The underlying principle of sword training is based on focus, mental alertness and development of an indomitable spirit. © 2009 - SSJS, Sei Do Kan Dojo All rights reserved. 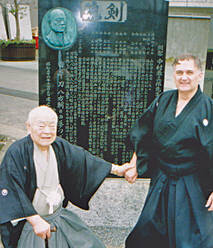 Australia's first and foremost Nakamura Ryu Batto-do school. Seitei to-ho kata #4 practice at the Inala dojo, Cherrybrook. 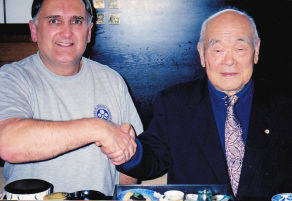 Nakamura sensei presenting Hans Fricke with kyoshi 8th-dan in Nakamura Ryu Battodo at his home in Tsurumi Japan 2002. 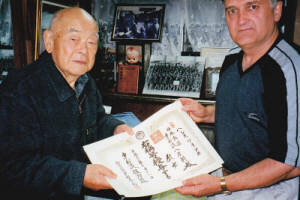 Nakamura sensei naming his Australian dojo SEI DO KAN in 2001. Some rare historical photos with Nakamura sensei in Japan. ... and walking sensei home. 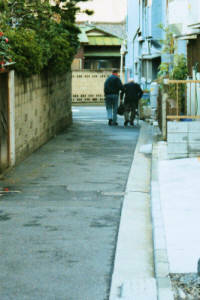 This great shot was taken by Tomoko-san, sensei's daughter. 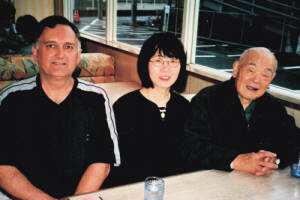 Tomoko-san, Hans Fricke, Roberto Sequeira and Nakamura sensei , Tsurumi Japan. Visiting sensei's monument when a sudden storm flared up. 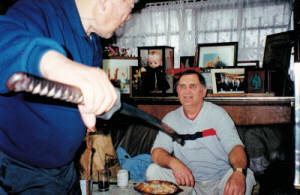 Even during lunch sensei would suddenly pick up his katana to teach a finer point of Toyama ryu. students at Nakamura sensei's Sei-Do Kan dojo in Sydney Australia. 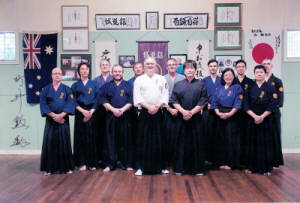 In 2006 the Australian Battodo Association Inc. was formed to promote and protect Nakamura Ryu Battodo in Australia and to conduct and oversee all dan- rankings of its members. 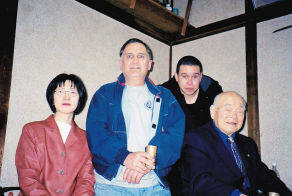 Tomoko-san continues as ni-day soke of Nakamura Ryu Battodo and president of the International Battodo Federation IBF.